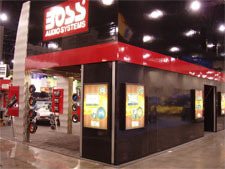 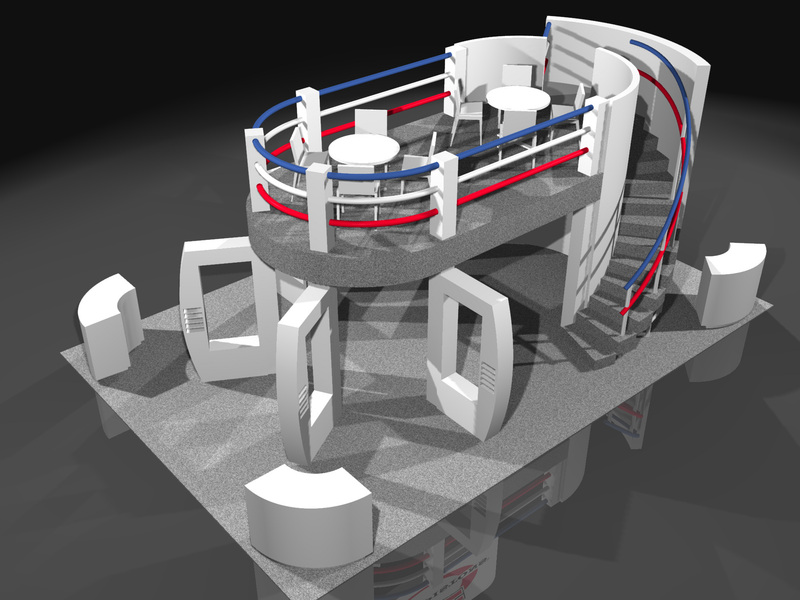 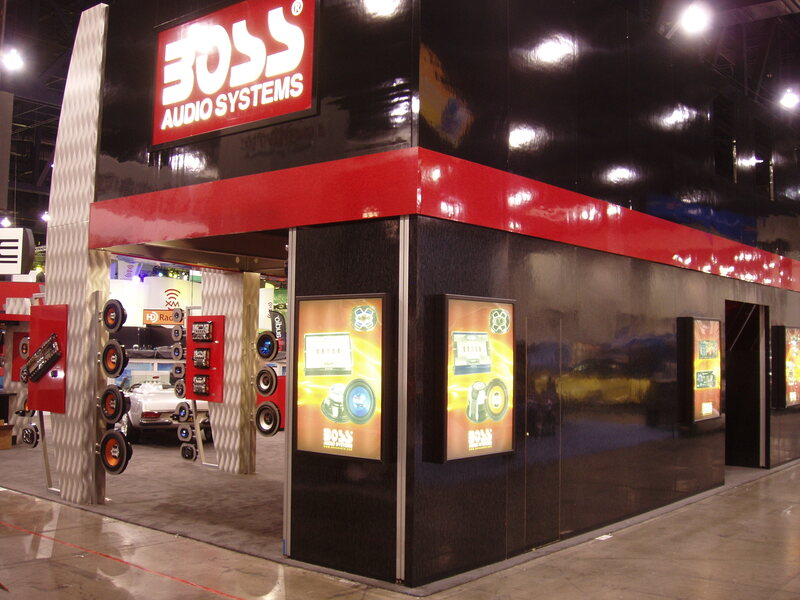 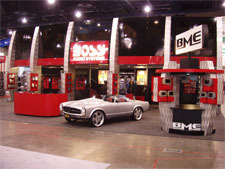 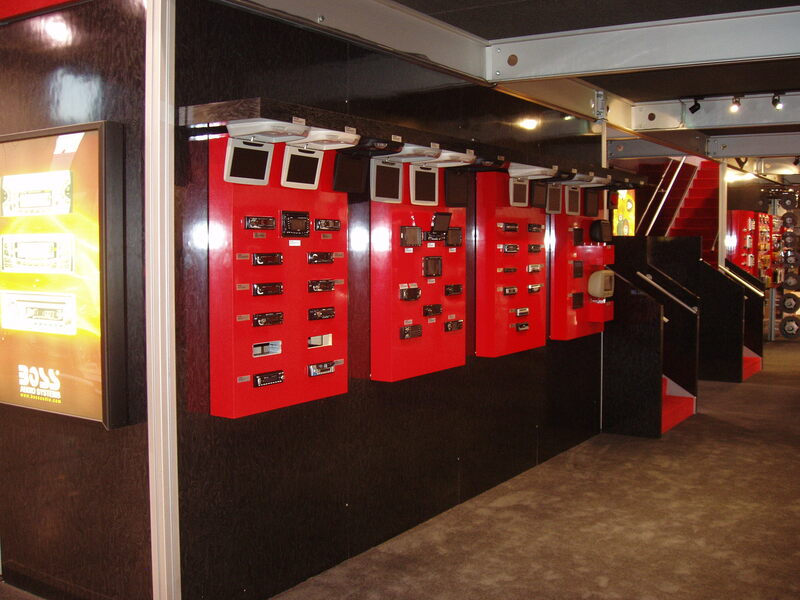 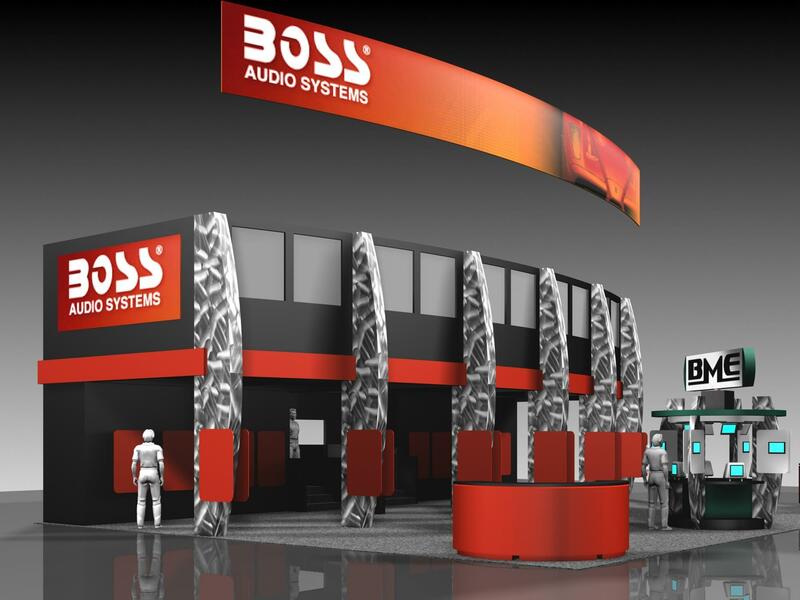 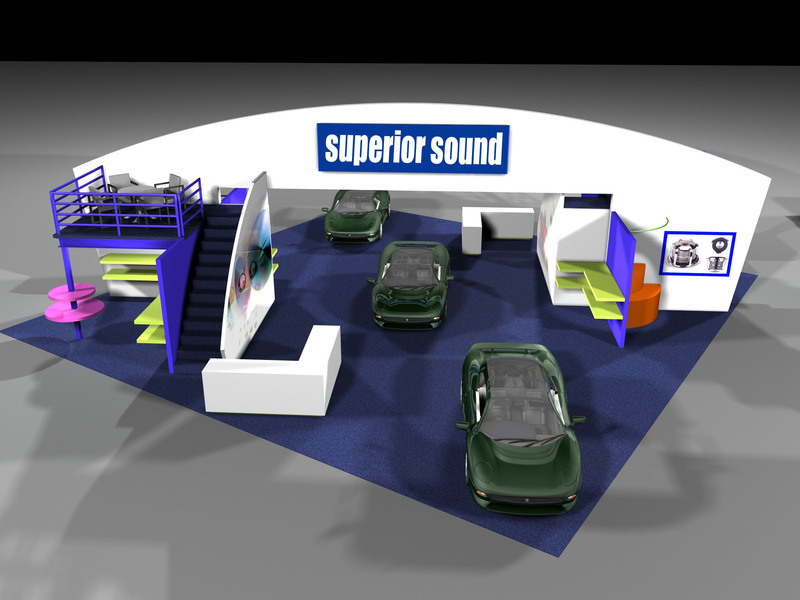 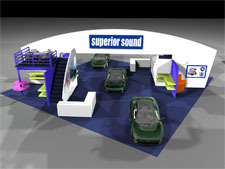 GreveCo Displays and Exhibits designed, engineered and built this 2 story booth for BOSS AUDIO SYSTEMS. 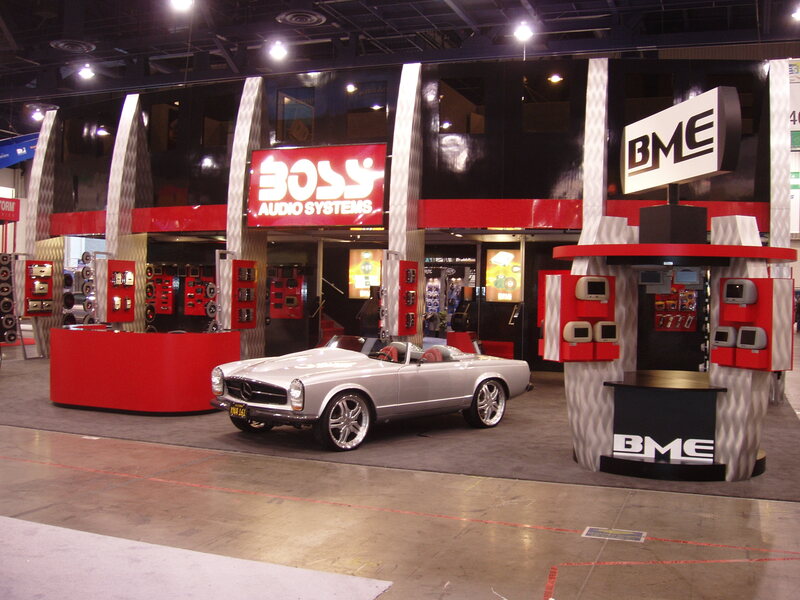 The booth originally debuted in Las Vegas at the Consumer Electronics Show (CES) 2007. 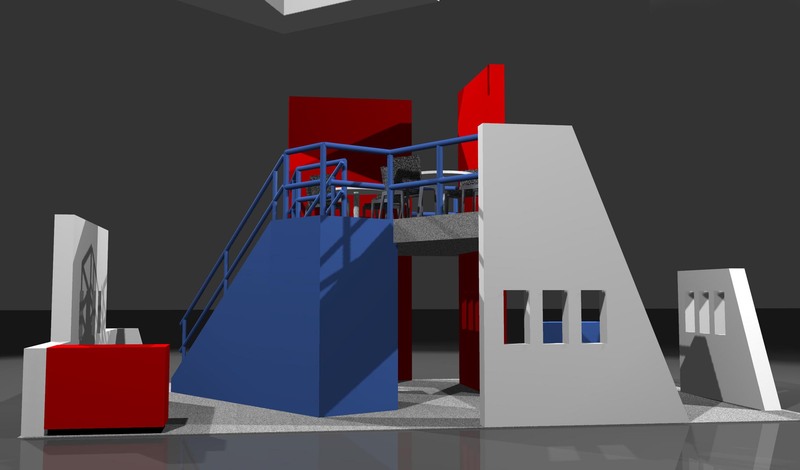 This exhibit is 50 feet wide by 20 feet deep and stands 20 feet tall. 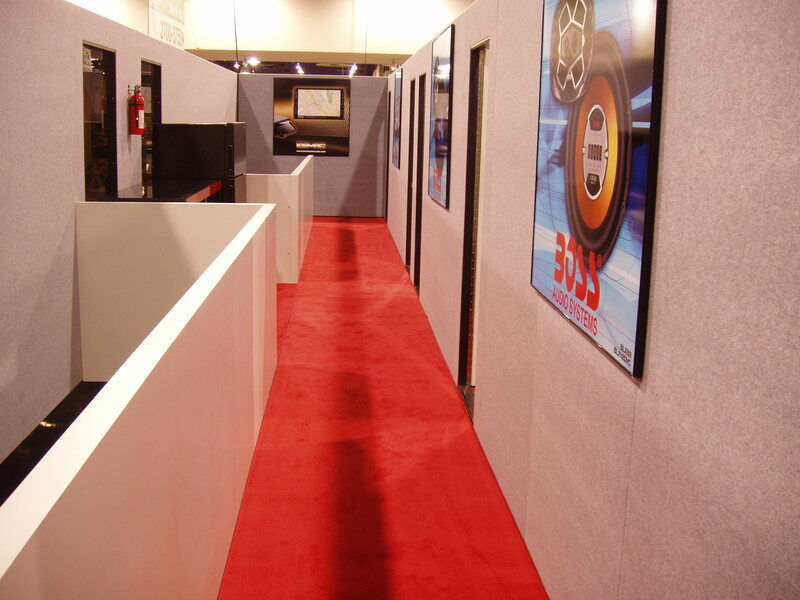 The booth has 2 staircases that lead to the second story where there are 5 conference rooms and a hospitality area complete with a full size refrigerator and bar. The downstairs features product displays on the interior walls and front columns. 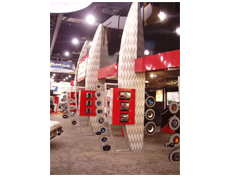 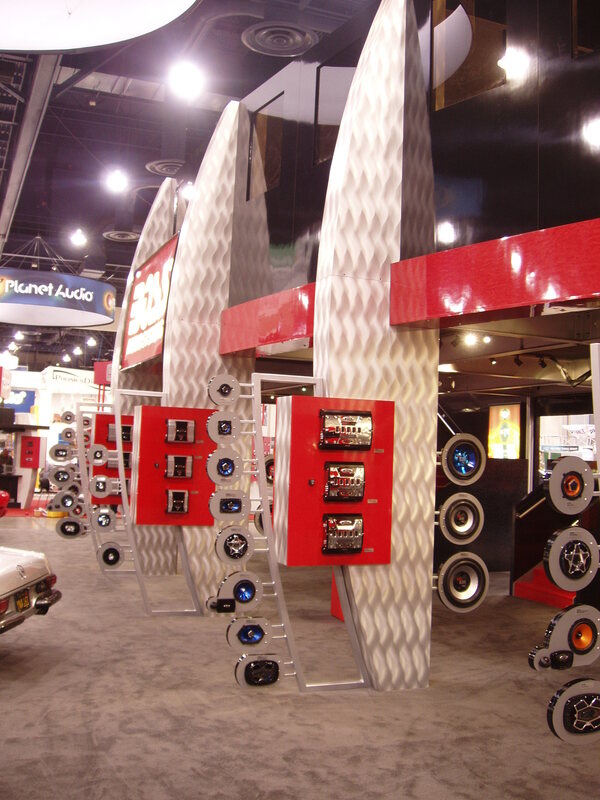 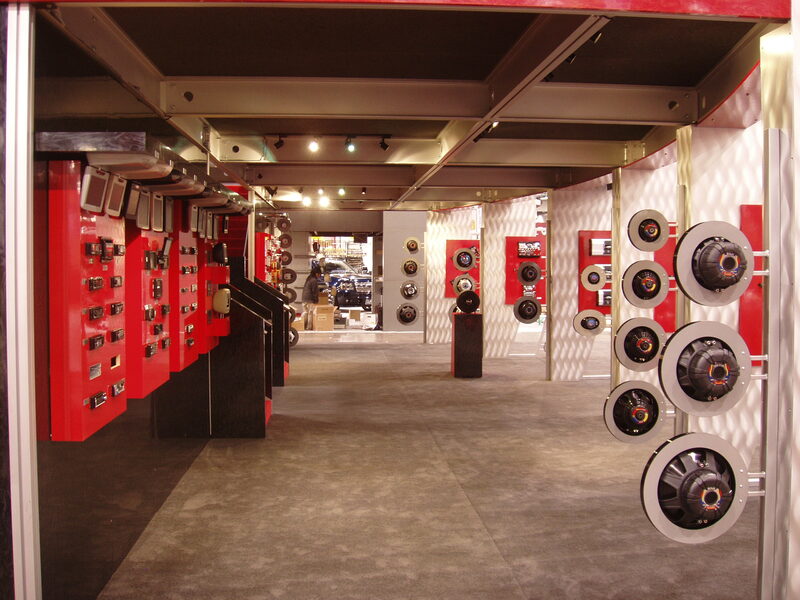 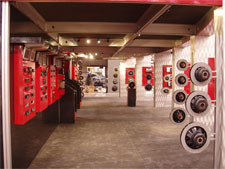 Custom steel product displays on the fronts of the columns hold laminated disks for displaying speakers. The superstructure is made from 12” tall extruded aluminum I-beams while the front columns are 8” square steel with adjustable feet. 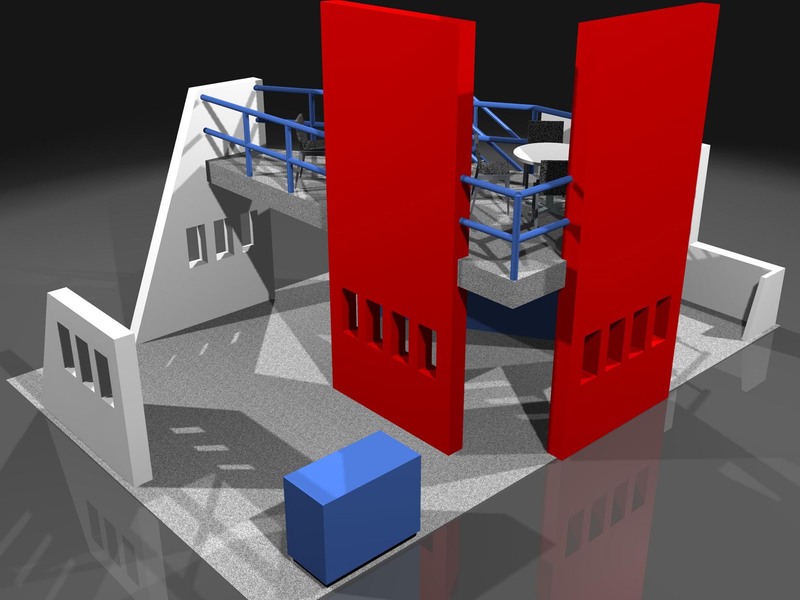 The floor of the superstructure is 4 ¼” thick made from plywood and foam filled for insulation. 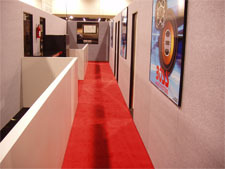 The floor panels fit together with interconnecting roto-locks. The floor on top of the superstructure is then cam-locked to the superstructure.